A total of 25 pilots participating, 15 had their vehicles fitted with Fedima. The resistance behavior and superior grip provided by Extreme Fedima 26.9-14 Premium guided the choice of tyres for the race. 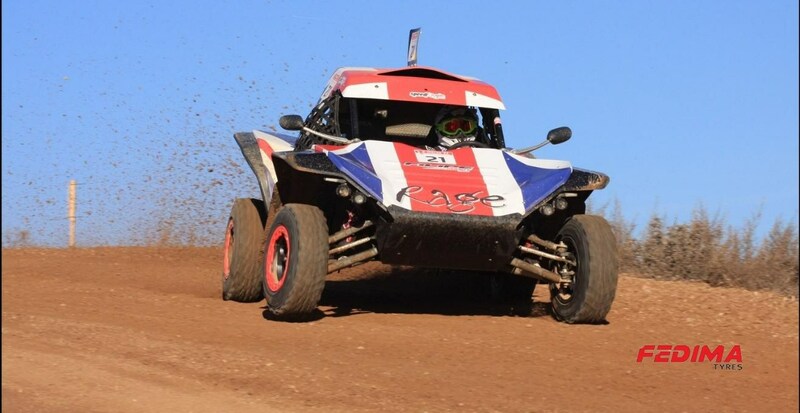 Bruno Martins won this year’s edition at the wheel of a Rage Comet R 1400. The pilot ran throughout the race in first place, managing to resist and keep its buggy on the track in a particularly demanding test for the mechanical Buggy / UTV. The victory was achieved only in the last lap, when Bruno Martins has finally overcome the national champion Nuno Tavares, who would finish second. “It was hard because I felt some difficulties in the middle of the race, but then recovered, I can print a strong rhythm and reached the first place right on the edge,” said the winner after the race.